This paper presents a novel approach for active chatter reduction using a motor spindle with integrated magnet actuators. Based on the results of previous studies the design of an active damped prototype is described. The system performance as well as the benefits and drawbacks of this solution are discussed. In order to eliminate the known drawbacks a novel actuator design is introduced. The novel approach integrates the actuator windings into the stator core. Next, strategies for electric and magnetic decoupling of the actuator and motor windings are presented. Subsequently the actuator design is discussed. The force generation and distribution of the damping actuator are calculated via analytical and finite elements analysis (FEA). With the novel approach the mechanical integration of the active damping actuators is simplified significantly. Additionally, the maximal attainable spindle power is increased up to 150% in relation to the previous solution. J. Königsberg, J. Reiners, B. Ponick, B. Denkena, and B. Bergmann, “Highly Dynamic Spindle Integrated Magnet Actuators for Chatter Reduction,” Int. J. Automation Technol., Vol.12, No.5, pp. 669-677, 2018. H. Narita, “A Determination Method of Cutting Coefficients in Ball End Milling Forces Model,” Int. J. Automation Technol., Vol.6, No.1, pp. 39-44, 2013. S. Alan, E. Budak, and H. N. Özgüven, “Analytical Prediction of Part Dynamics for Machining Stability Analysis,” Int. J. Automation Technol., Vol.4, No.3, pp. 259-267, 2010. K. Shimana, E. Kondo, H. Karashima, and N. Kawagoshi, “Fast Detection of Chatter in End-Milling Using Pseudo Auto-Correlation Function,” Int. J. Automation Technol., Vol.6, No.6, pp. 728-735, 2012. A. Parus, M. Pajor, and M. Hoffmann, “Suppression of Self-Excited Vibration in Cutting Process using Piezoelectric and Electromagnetic Actuators,” Advances in Manufacturing Science and Technology, Vol.33, No.4, 2009. C. Wang, X. Zhang, Y. Liu, H. Cao, and X. Chen, “Stiffness variation method for milling chatter suppression via piezoelectric stack actuators,” Int. J. of Machine Tools and Manufacture, Vol.124, pp. 53-66, 2018. C. Stander, “The Passive Control of Machining Tool Vibration with a Piezoelectric Actuator,” Ph.D. thesis, University of Pretoria, 2010. 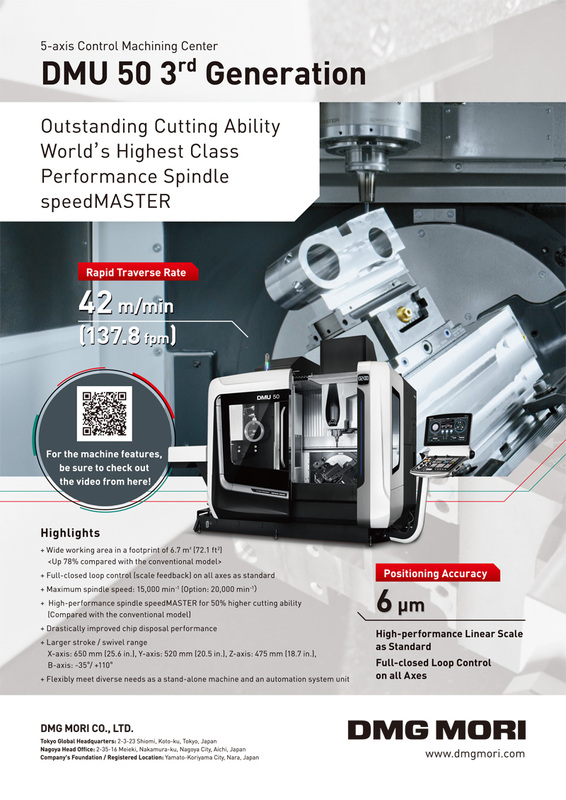 A. Ito and E. Shamoto, “An Innovative Machining Strategy for Efficient Peripheral Finishing of Hard Materials with Highly-Varied-Helix End Mill,” Int. J. Automation Technol., Vol.9, No.2, pp. 153-160, 2015. V. Sellmeier, “Über den Einfluss der Werkzeuggestalt auf die dynamische Stabilität des Fräsprozesses,” Ph.D. thesis, Leibniz Universität Hannover, 2012. B. Denkena, H.-C. Möhring, and J. Will, “Tool Deflection Compensation with an Adaptronic Milling Spindle,” Int. Conf. on Smart Machining Systems (ICSMS), Gaithersburg, USA, 2003. V. Bickel, “Frässpindel mit motorintegrierter aktiver Dämpfung,” Ph.D. thesis, Leibniz Universität Hannover, 2015. G. Schweitzer and E. H. Maslen, “Magnetic Bearings,” Springer, 2009. J. Emmrich, W. Bickel, B. Denkena, and B. Ponick, “Design of an Integrated Electromagnetic Actuator for High Frequency Damping Forces,” Electrical Machines (ICEM), 2012 20th Int. Conf. on Electrical Machines, Sept. 2-5, pp. 1957-1963, 2012. J. Emmrich, W. Bickel, B. Denkena, and B. Ponick, “Analysis of an integrated electromagnetic actuator prototype,” Innovative Small Drives and Micro-Motor Systems, 2013. G. Müller, K. Vogt, and B. Ponick, “Berechnung elektrischer Maschinen,” WILEY-VCH, 2008. H. Haase and H. Garbe, “Elektrotechnik – Theorie und Grundlagen,” Springer, 1998. H. Seinsch, “Oberfelderscheinungen in Drehfehldmaschinen,” B. G. Teubner, 1992. G. Müller and B. Ponick, “Theorie elektrischer Maschinen,” WILEY-VCH, 2009.